Today, we are going to check out and review Zotac’s GeForce RTX 2080 Gaming (Twin Fan) graphics card. 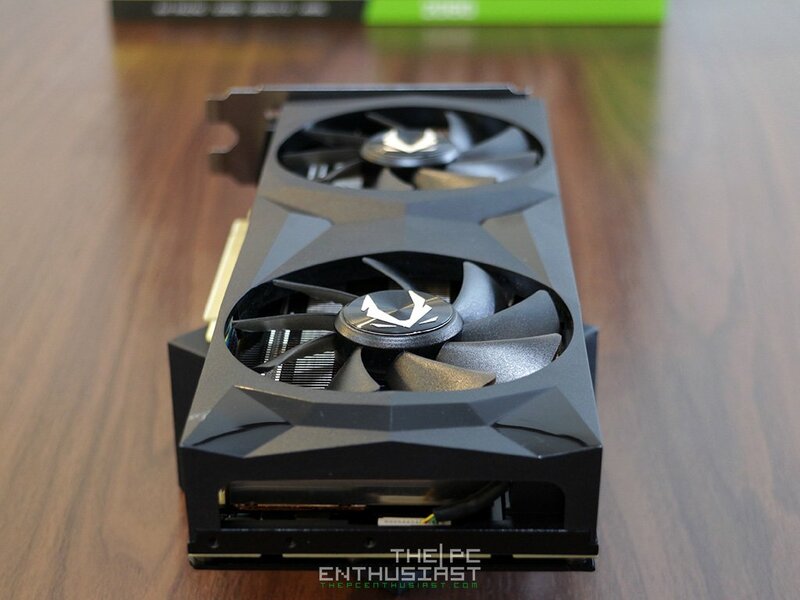 This is the third RTX 2080 graphics card we have tested and reviewed so far. The first we reviewed was the NVIDIA GeForce RTX 2080 Founders Edition; then followed by the MSI GeForce RTX 2080 DUKE 8G OC. Spoiler alert, all these graphics cards perform similarly. But they all look very different, they each have their own unique design and cooling solution; and most importantly they come with varying prices. 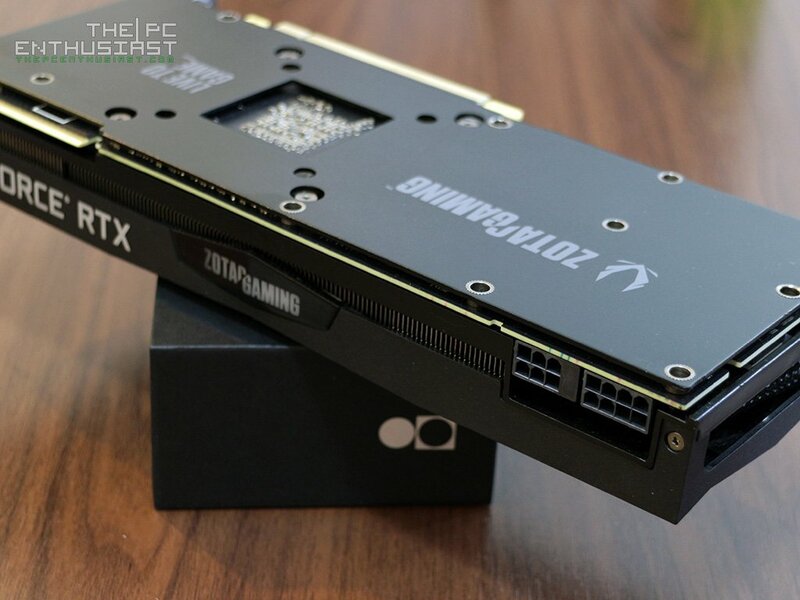 Undeniably, this specific Zotac RTX 2080 graphics card may look lackluster; but this doesn’t mean it can’t perform on par or similarly with the Founders Edition. 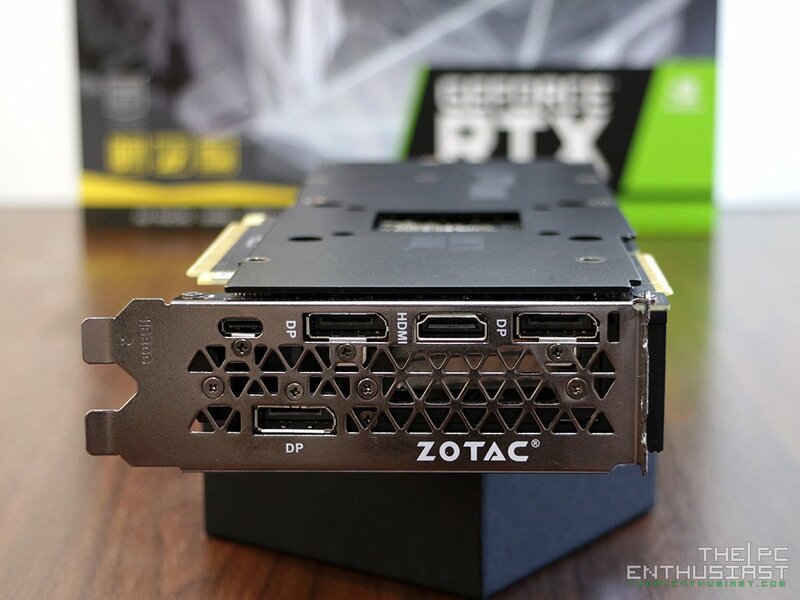 By the way, if you value aesthetics more, there are better looking RTX 2080 that Zotac offers, like the RTX 2080 AMP Extreme / Core graphics cards. But they are undoubtedly more expensive than this Twin Fan edition. Anyway, let’s find out more about this graphics card in our Zotac Gaming GeForce RTX 2080 Twin Fan review below. 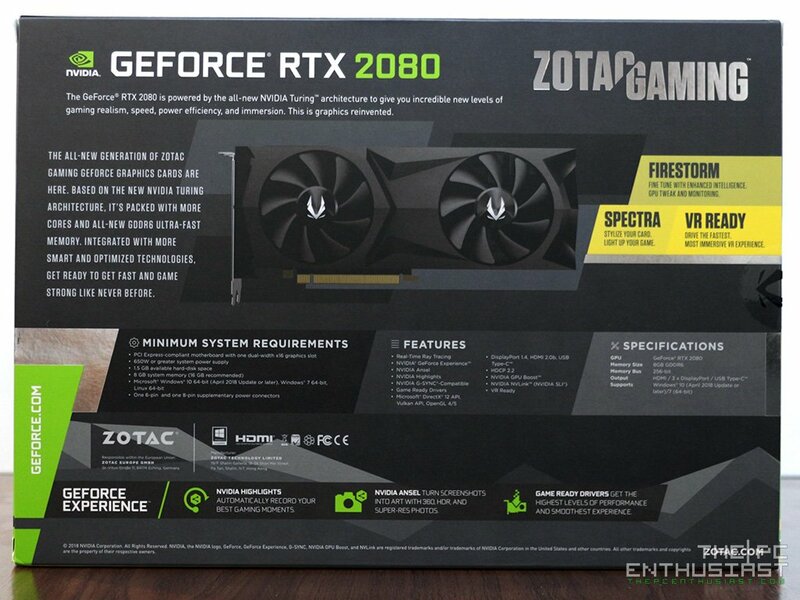 The Zotac Gaming GeForce RTX 2080 Twin Fan is just one of the several RTX 2080 variants from the company. They have the AMP Extreme, their top tier variant; followed by AMP MAXX, then AMP, TWIN Fan and finally the Blower. I think The Twin Fan and Blower types are the cheapest variants. 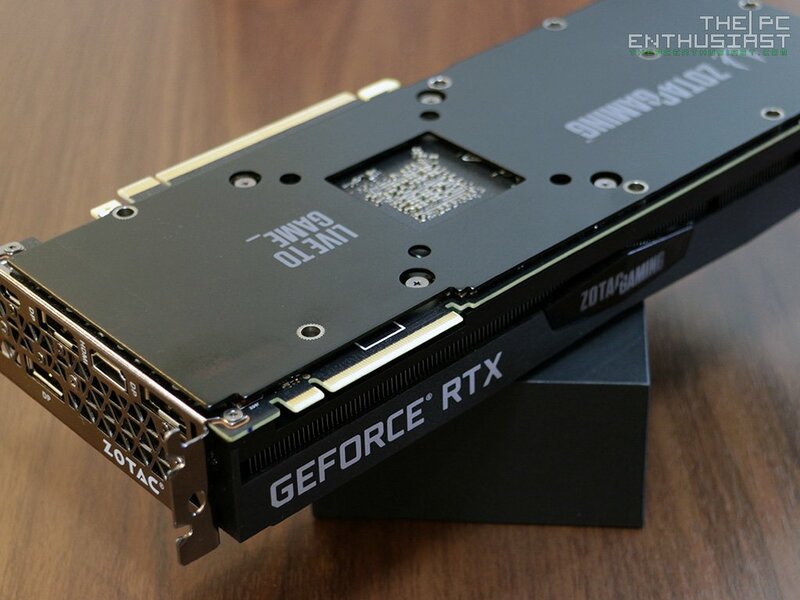 This specific model features a reference PCB; this means that the components inside and its layout are exactly the same or more or less similar with the RTX 2080 Founders Edition and other RTX 2080 cards based on the reference design. The only real difference is (more or less) the cooler shroud. I’m not going to discuss again the features of the RTX graphics card here. You can check it on our review of the NVIDIA GeForce RTX 2080 Founders Edition. They are just the same, the Zotac GeForce RTX 2080 Twin Fan is based on the same technology and they are basically similar products; just different aesthetics, cooler design, brand and pricing. You can check that from the specifications table below. The Zotac GeForce RTX 2080 Twin Fan features a 12nm TU102 GPU chip with 46 Streaming Multiprocessor, 2944 CUDA Cores, 368 Tensor Cores, 46 RT Cores and 8 GigaRays/second of performance. It has a base clock speed of 1515MHz, same with most RTX 2080s, but its boost clock speed is only 1770 MHz. Of course, this doesn’t mean that this graphics card can’t go beyond 1,770Mhz; yes it can and you can also overclock it to set a higher boost clock speed. Zotac’s packaging has yet again leveled-up. The new box art looks better compared to the previous GTX 10 series and I saw the AMP version of this has some “tricks” with its sleeves (as you pull out the sleeve from the inside box). 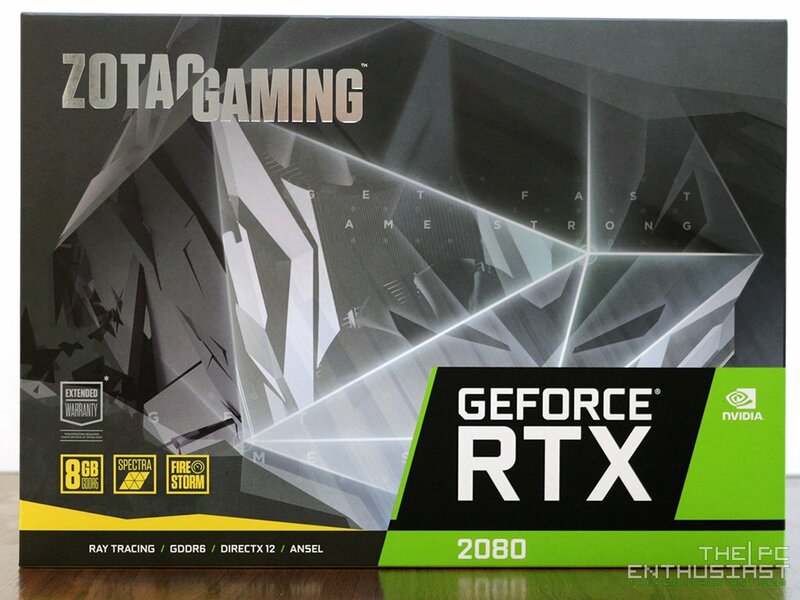 Again you can see the features of the graphics card at the back side of the box and you see the huge GeForce RTX 2080 logo at the front portion. 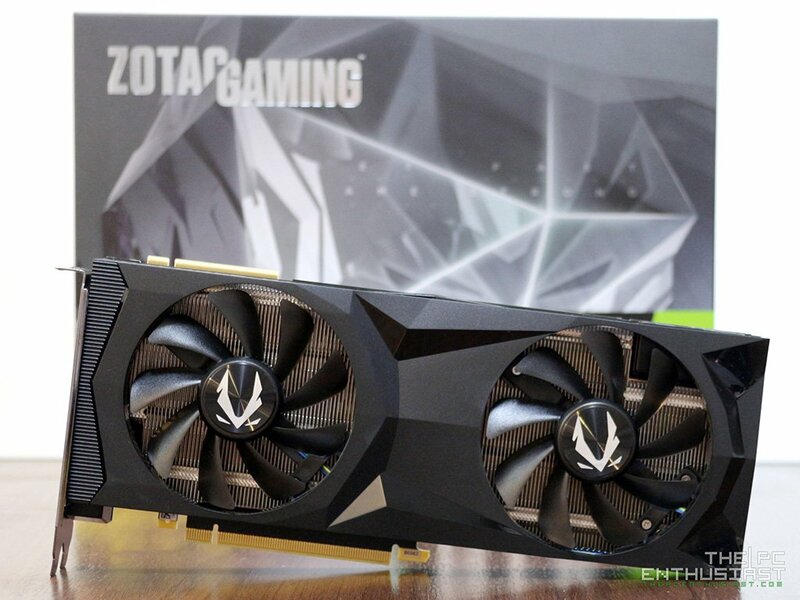 The Zotac Gaming RTX 2080 Twin Fan graphics card doesn’t have a striking design compared to other models. It has an all-black aesthetics with dual fan cooling solution. The shroud is plastic but it does come with a metal back plate. I have a small issue with the back plate though. Come on Zotac, you have been making graphic card for years and that print on the back plate is upside down. 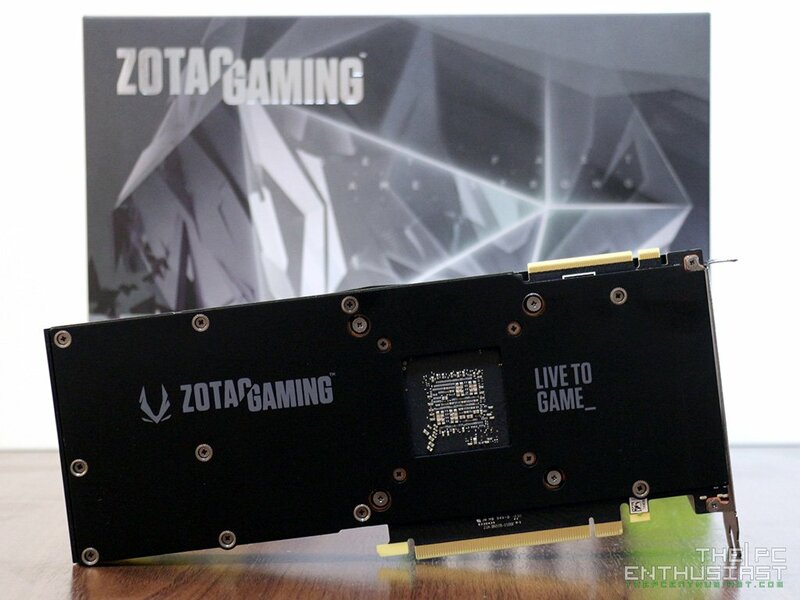 When you install the graphics card on the motherboard, the “Zotac Gaming” and the “Live to Game_” logo will look upside down (fronting the motherboard) from the eyes of the user. It’s not a deal breaker, but I think it is something worth mentioning and I hope we won’t see this anymore in future graphics cards. At the rear output ports, it’s the standard ports you see on most RTX 20 series graphics cards. There are 3 DisplayPorts v1.4, one HDMI 2.0b port and a USB Type-C for next generation VR-headsets. The ports are labeled, (oddly) except for the USB Type-C and there’s a Zotac brand on the rear output bracket. At the far side (rear) of the graphics card, there’s an opening where you can see the cable for the RGB lightning. Although, hot air doesn’t exhaust here since the fins are arranged in a vertical manner rather than horizontal. These means that the exhausted heat will be blown sideways, towards the motherboard and away from the motherboard. Above you can see the new NV-Link connector, that’s the new SLI Bridge and (unfortunately) Zotac didn’t include any protective (rubber) cap. Like most of the RTX 2080, the Zotac RTX 2080 Twin Fan has a 6+8 pin power connector. Based on Zotac’s spec sheet, the card draws 215W of power, more or less depending on the usage. It’s also recommended to use at least a 650W PSU to power this graphics card. I would recommend to use (at least) an 80 Plus certified PSU and don’t cheap out on your PSU. 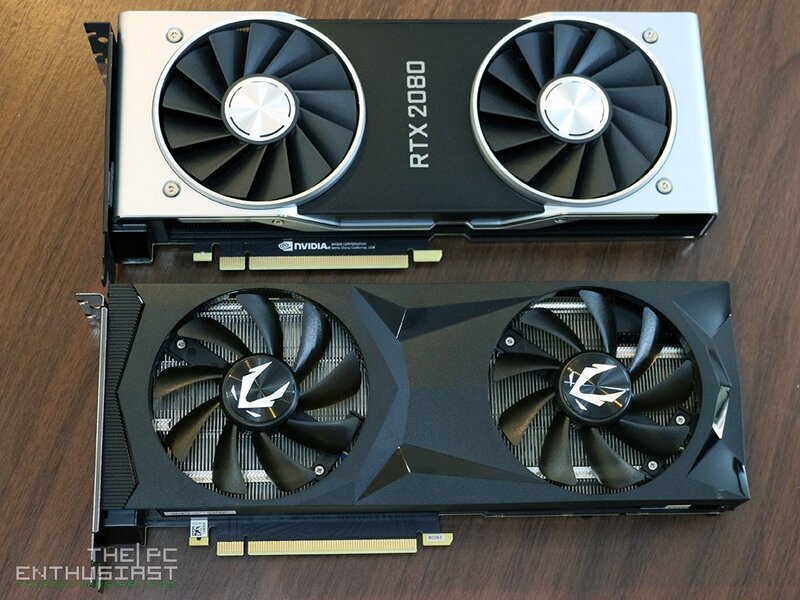 Finally, here’s a comparison of the Zotac Gaming GeForce RTX 2080 Twin Fan and the NVIDIA GeForce RTX 2080 Founders Edition. Both have similar dimensions, even the thickness and length of the graphics card are quite similar. The difference? It is very obvious, the Founders Edition has a premium cooler shroud and it is noticeably heavy compared to Zotac’s RTX 2080. However the internals are not that far, it’s quite very similar; check out the RTX 2080 Duke here. 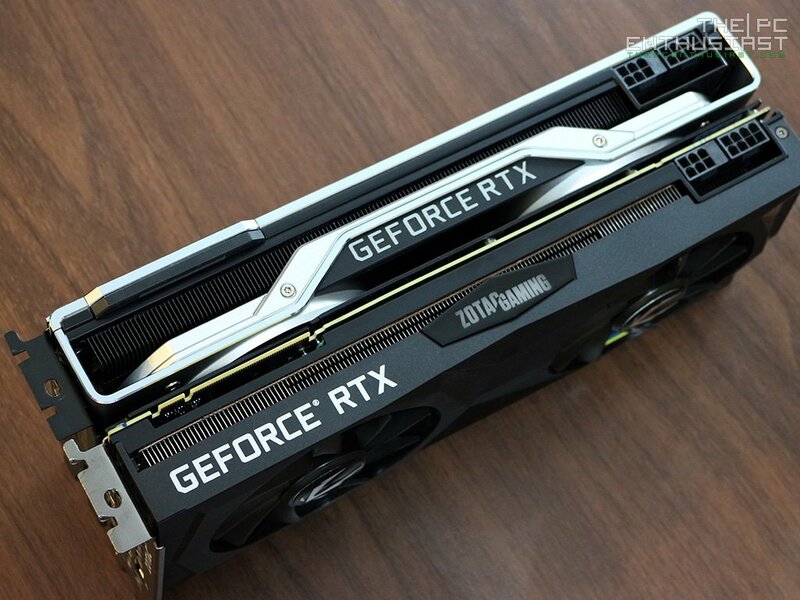 Most RTX 2080 cards that are based on the reference design (or Founders Edition) have similar PCB size, PCB layout and components used inside. At the heart of every RTX 2080 graphics card is an NVIDIA TU104-400A-A1 GPU chip; it’s basically a cut down from the full TU104 with only 46 SM. It’s a 12nm fabrication process made by TSMC, with a die size of 545 mm² and a 13.6 billion transistor count. The GDDR6 memory is made by Micron (usually found on reference design card like this one). But there are some RTX 2080s that have Samsung GDDR6 memory, usually RTX 2080 that are custom designed by the manufacturer. On the next page let’s check out the test setup used for the Zotac Gaming RTX 2080 Twin Fan, and its noise and temperature levels.